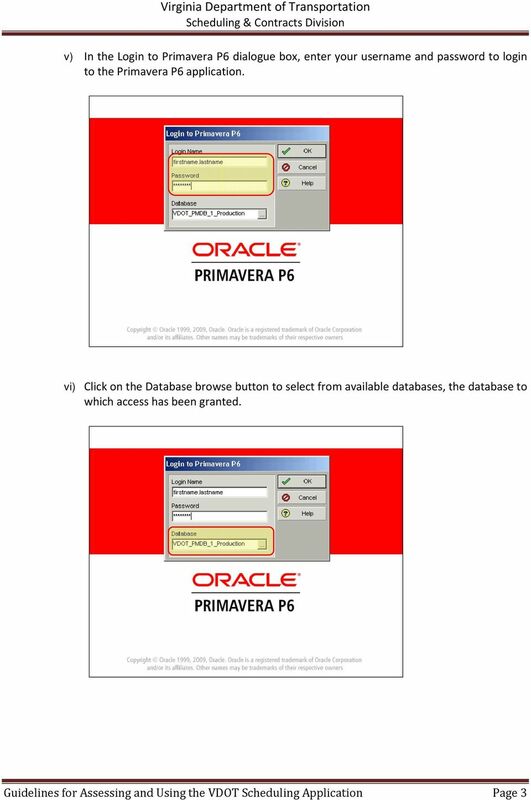 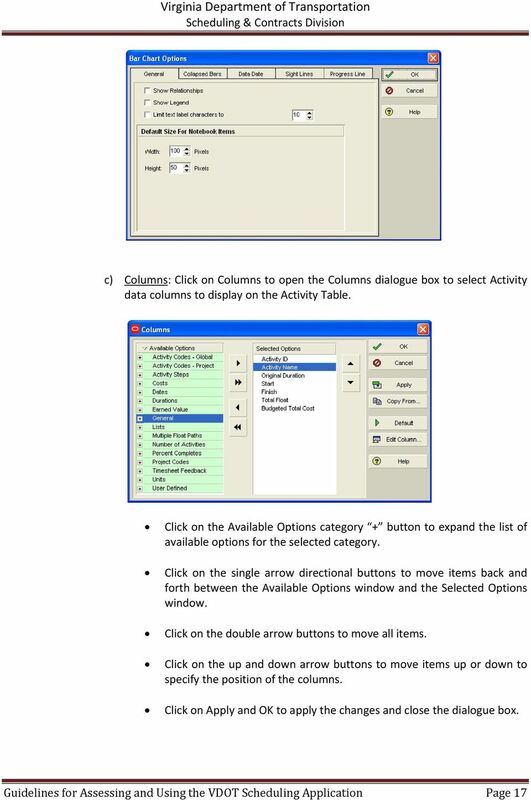 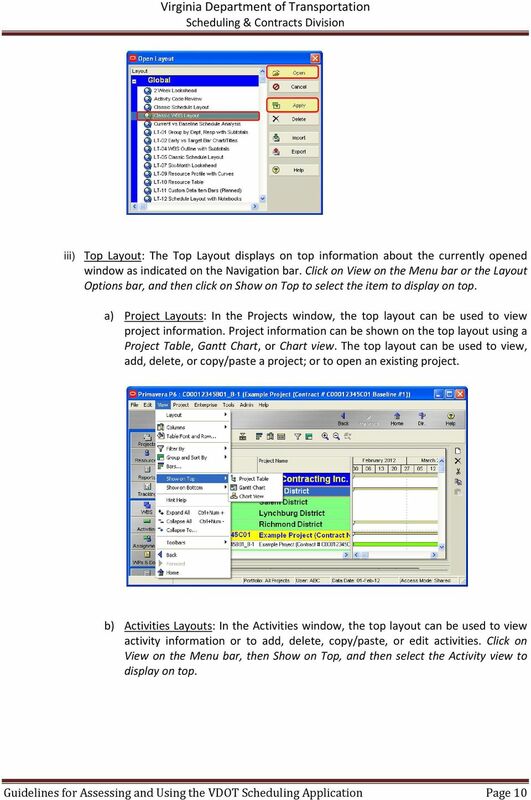 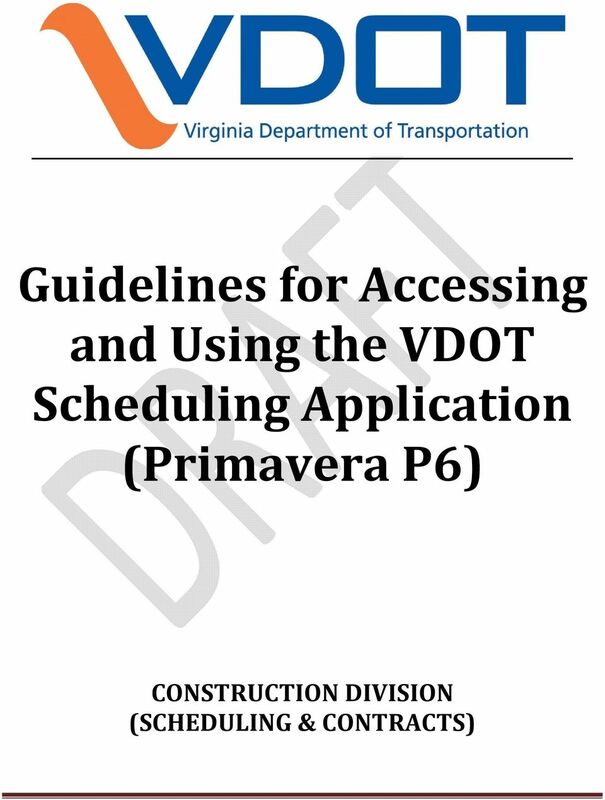 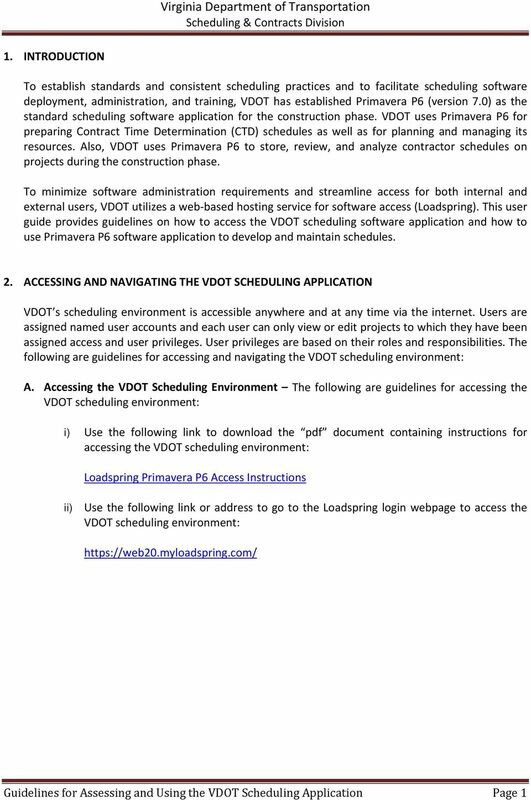 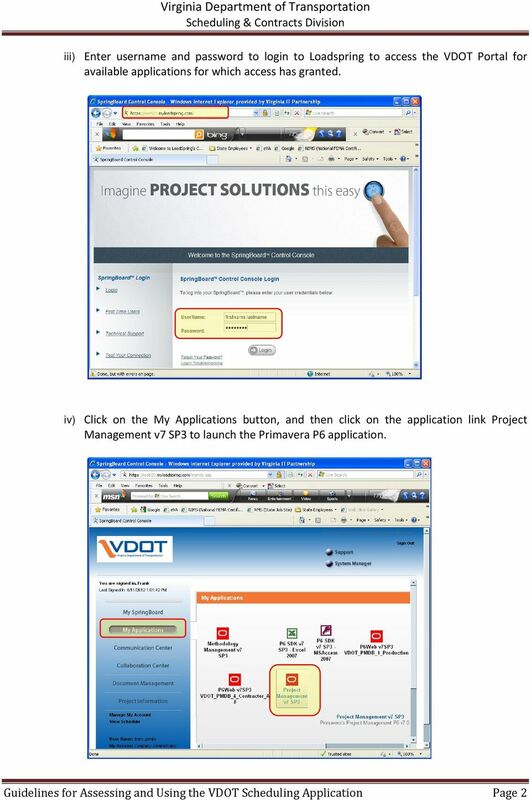 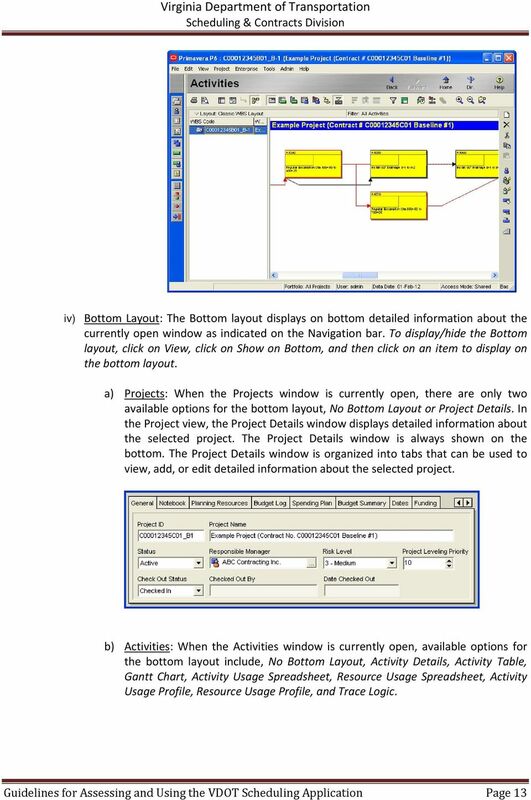 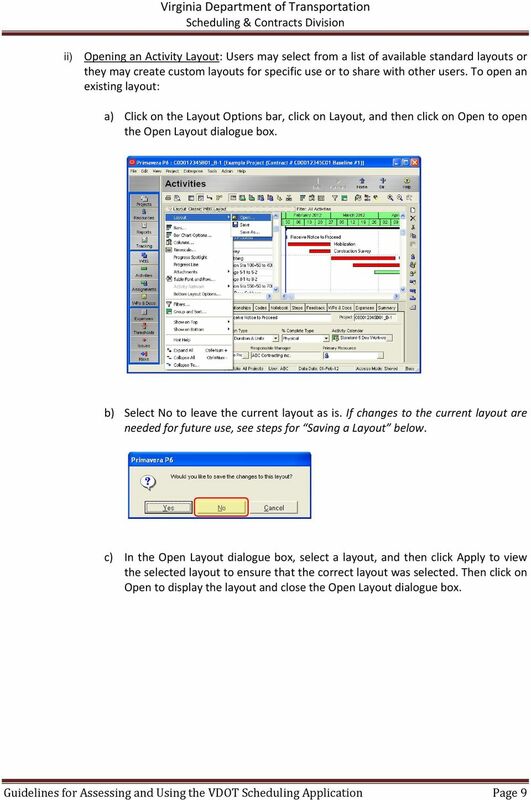 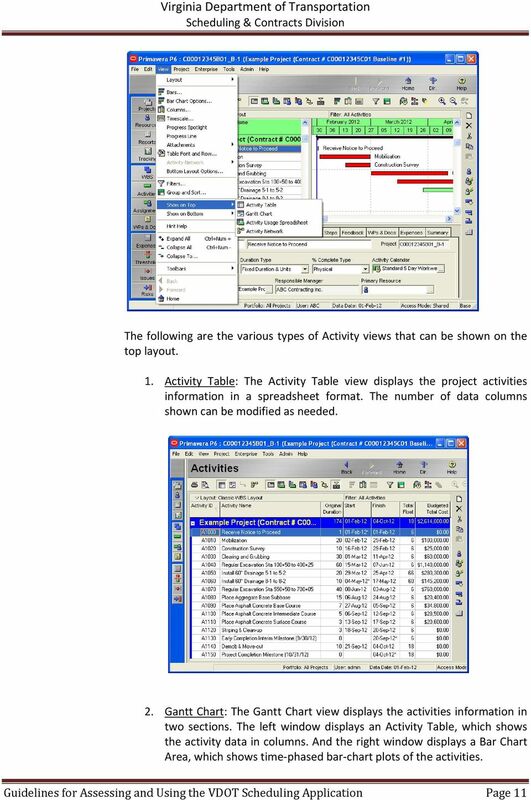 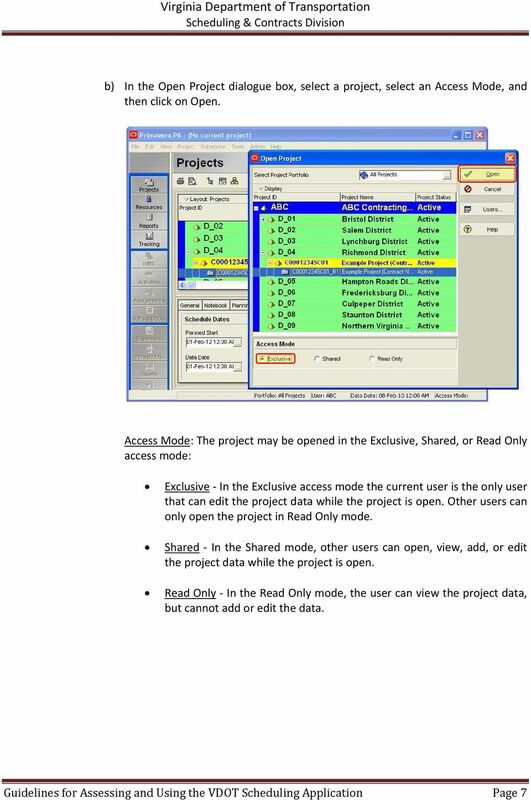 Download "Guidelines for Accessing and Using the VDOT Scheduling Application (Primavera P6)"
Primavera Project Manager for the Enterprise Version 6.1 Custom Training Manual Course Contents June 27, 2003 This publication is produced as a custom training document for The University of North Carolina. 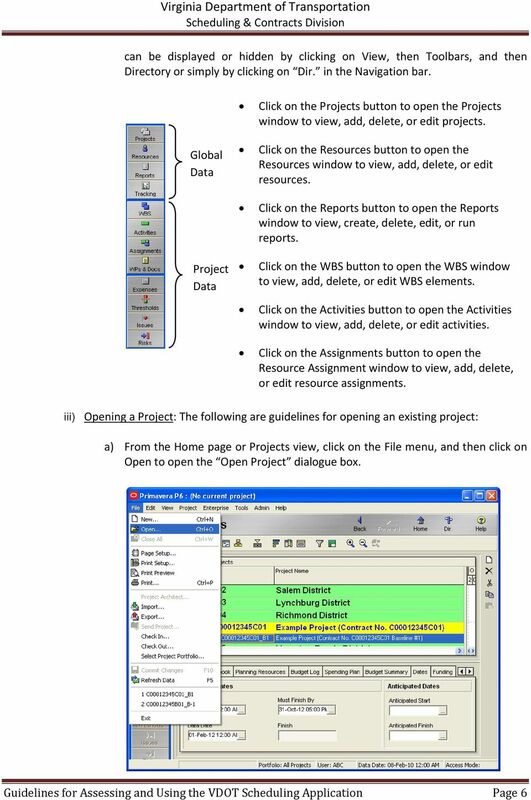 Microsoft Project 2007 Level 1: Creating Project Tasks By Robin Peers Robin Peers, 2008 ABOUT THIS CLASS Regardless of job title, most of us have needed to act as a project manager, at one time or another. 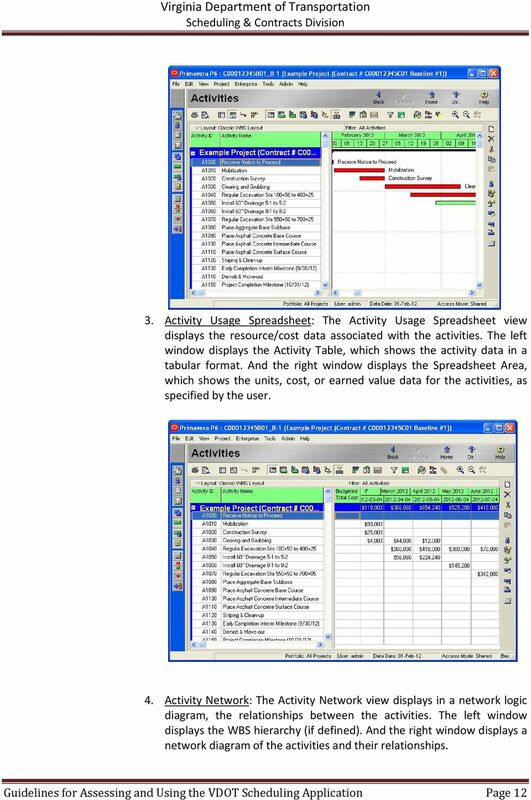 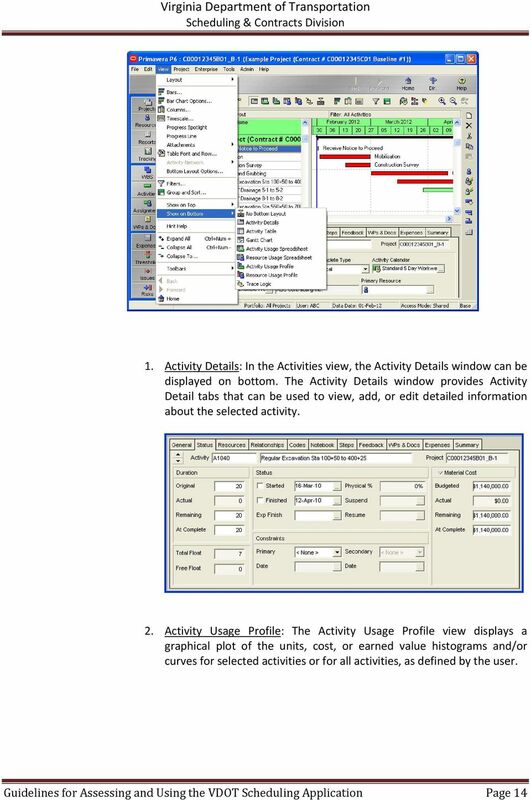 Level 2 Scheduling Training Synchro PRO Synchro Scheduler V 4.10 September 2014 CONTENTS 1. 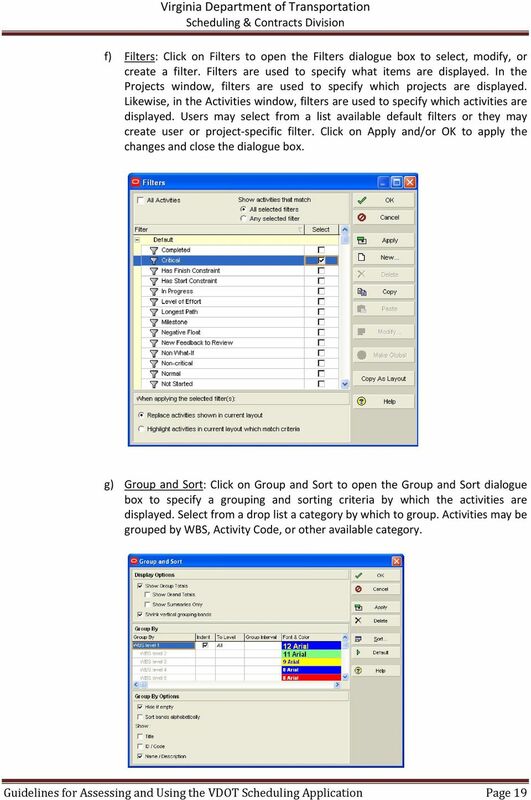 The Synchro Workspace... 1 1.1. 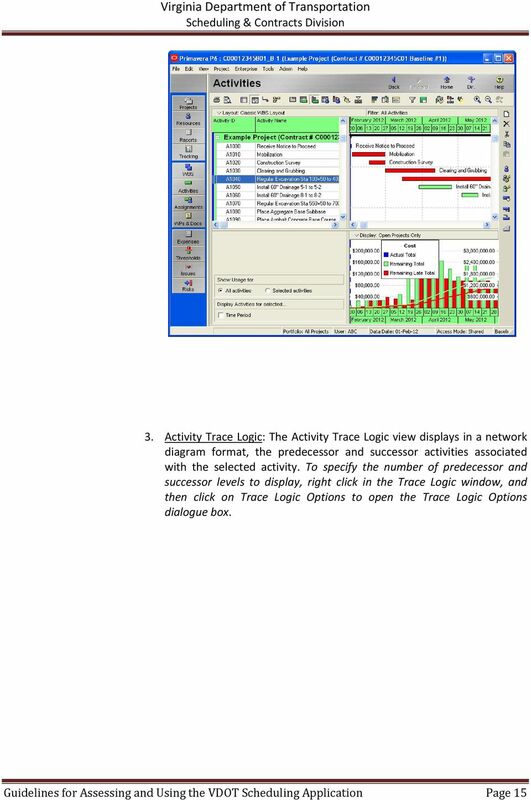 Initial Setup... 1 1.2. 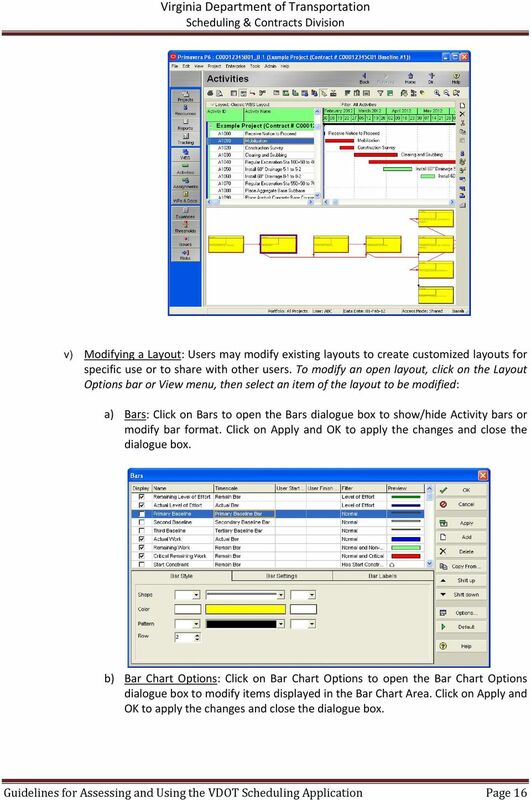 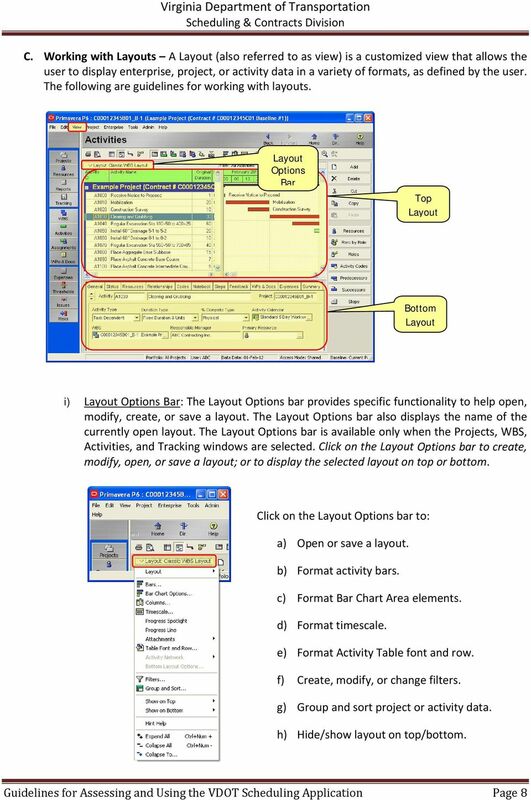 Screen Layout... 2 2. 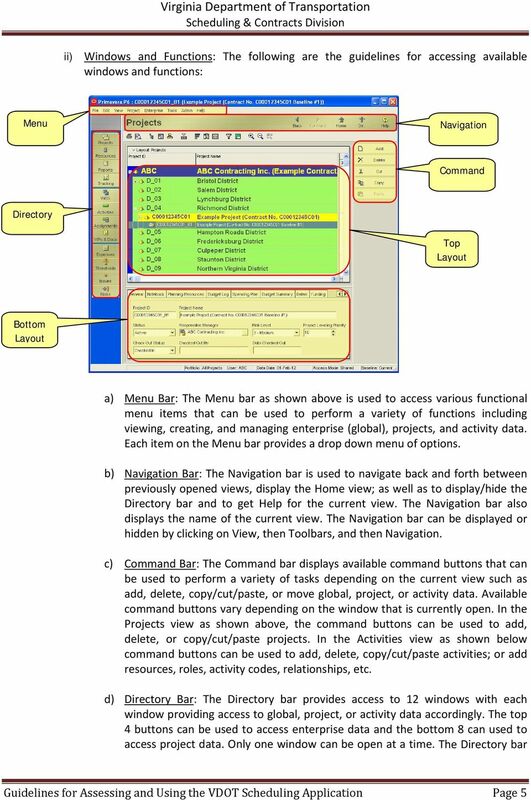 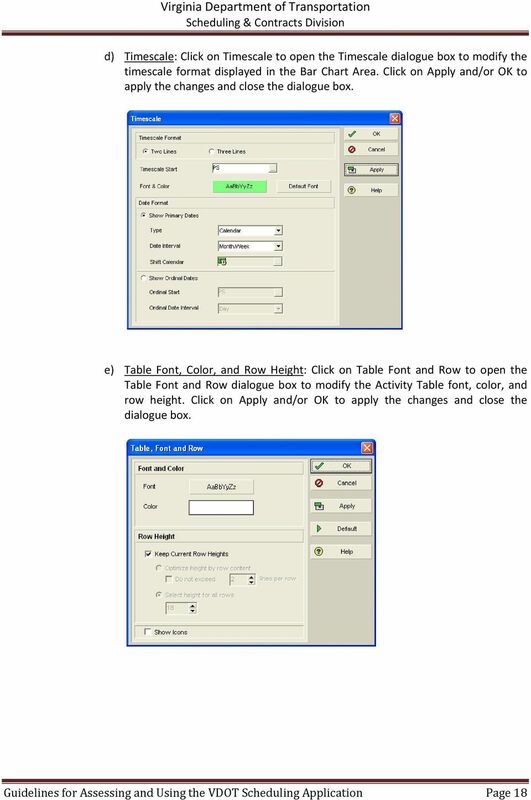 User Interface Set Up... 4 2.1.